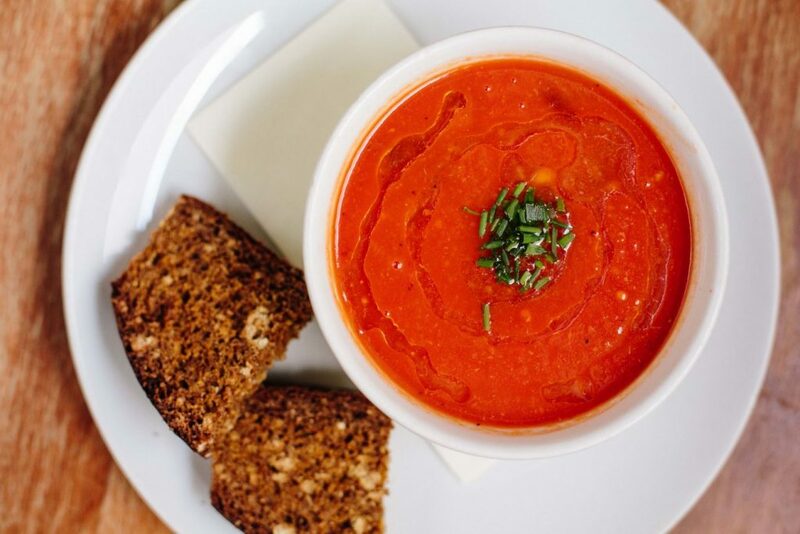 We love good healthy food and drinks and we want you to enjoy delicious, uncomplicated food and drinks, locally grown healthy homemade meals and made with love on Rothiemurchus. 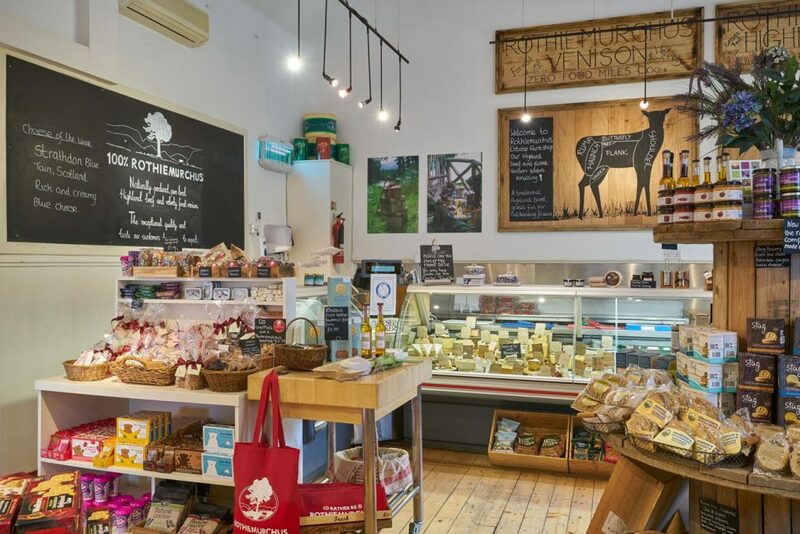 So we have a choice of two places under one roof at Rothiemurchus Centre – The Druie café our own Estate Farm Shop. Both are open every day (except Christmas Day when we are recovering from Santa’s visit). We could talk about our exceptional Rothiemurchus pure bred Highland beef and our velvety forest venison that taste amazing fresh from our ‘in house’ butcher or made into our homemade meals, our fresh and smoked fish, great seasonal selections of cheese from amazing artisan cheesemakers both near and further away, our ‘wow’locally roasted coffee, leaf teas, our famed freshly made scones and cakes, local hand stirred organic preserves and chutneys as well as fruit drinks and interesting wines, fab chocolate and popcorn, shortbread, oatcakes and cakes all locally made – till the cows (or Red Deer) come home – come and try them yourself. 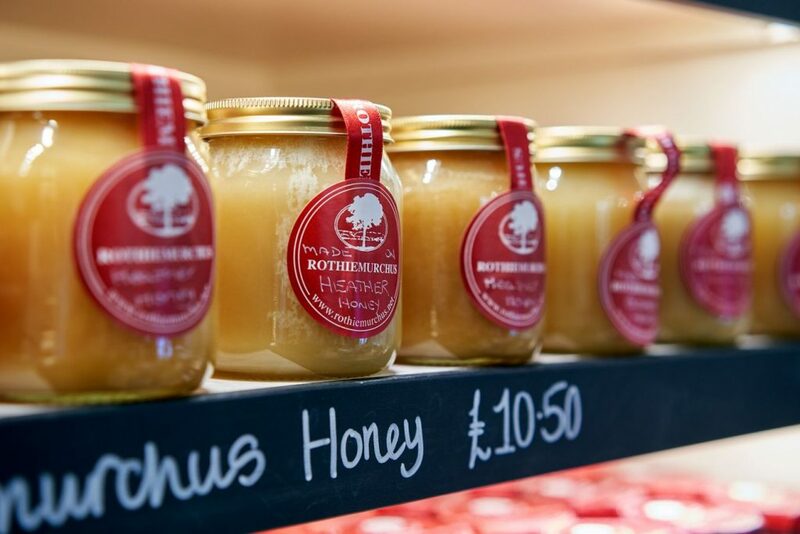 Superb quality, natural, and absolutely scrumptious, Rothiemurchus offers some delicious ingredients for your culinary creations and hearty home cooked meals. 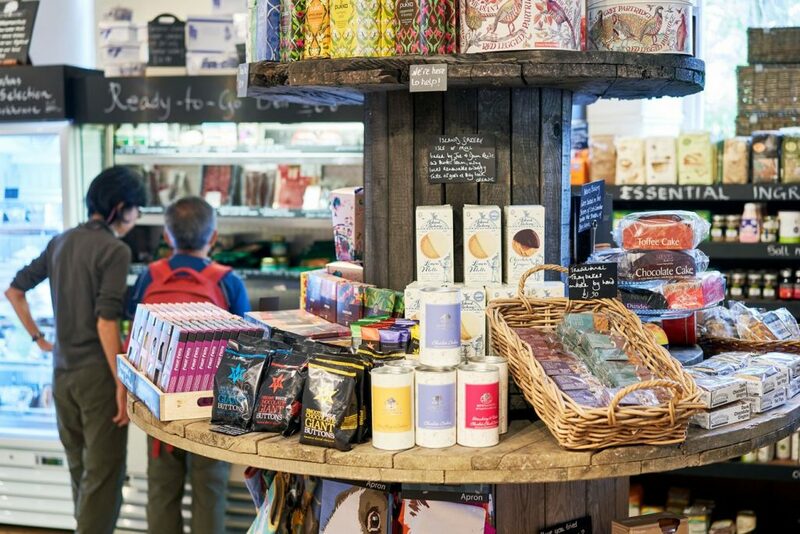 Whether you are looking for mouth-watering goodies for a dinner party or a personalised gift hamper, our farm shop and deli offers you a delicious array of produce. We are open daily 9.30 am – 4.30 pm Lovingly baked cakes, scones and locally roasted coffee served all day, breakfast from 9.30 – 11.00 and tasty lunches 12.00 – 15.00. 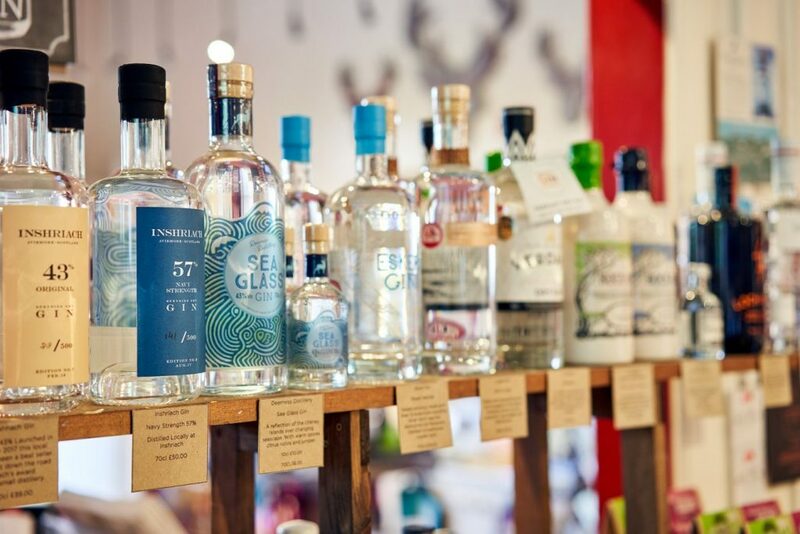 With a focus on Estate grown Highland beef and forest venison from Rothiemurchus accompanied by seasonal produce grown by specialist artisan producers locally and further afield, served in a relaxed, friendly environment. 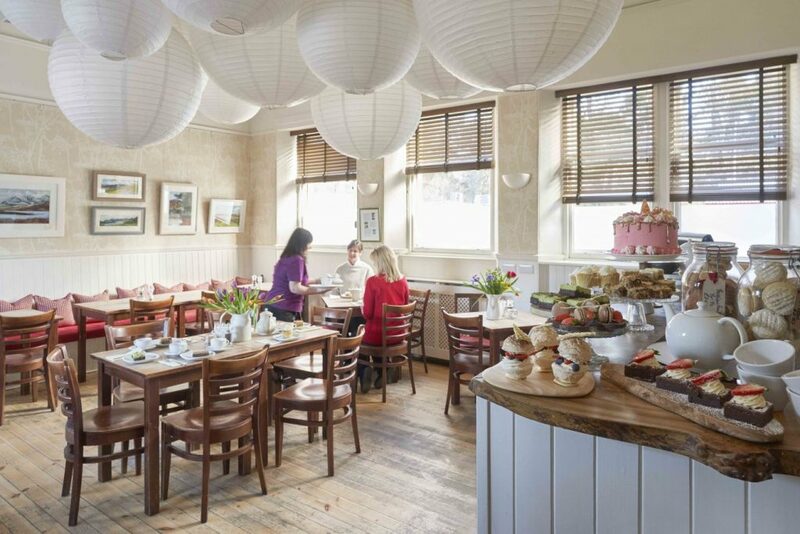 Whilst enjoying your coffee or lunch at the Druie, you can feast your eyes on a selection of artwork displayed around the walls, especially selected from Loch an Eilein Gallery. Our tender locally grown beef. 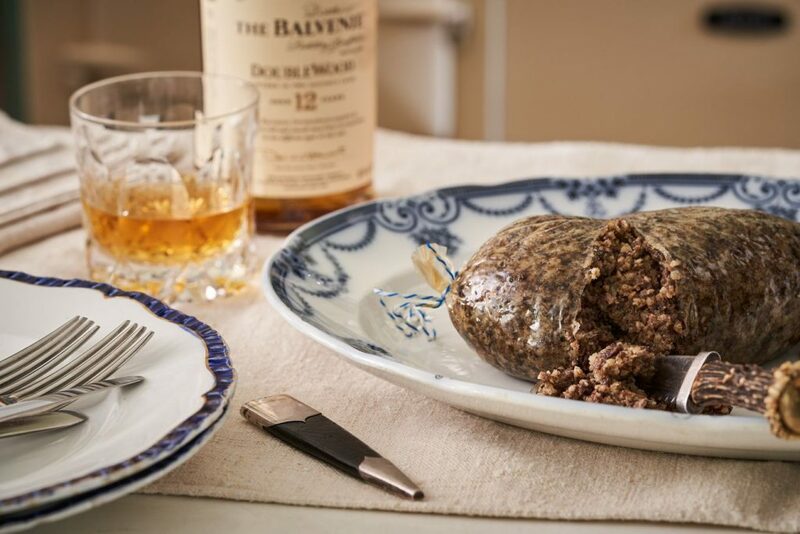 Succulent, slow matured and melt in the mouth; this is Rothiemurchus highland beef. We really care about our food so from the forest, hill or farm to the plate our cattle are traditionally reared, naturally produced, expertly butchered and prepared here on Rothiemurchus by people who have known each animal from birth to when it leaves us as the finest beef. 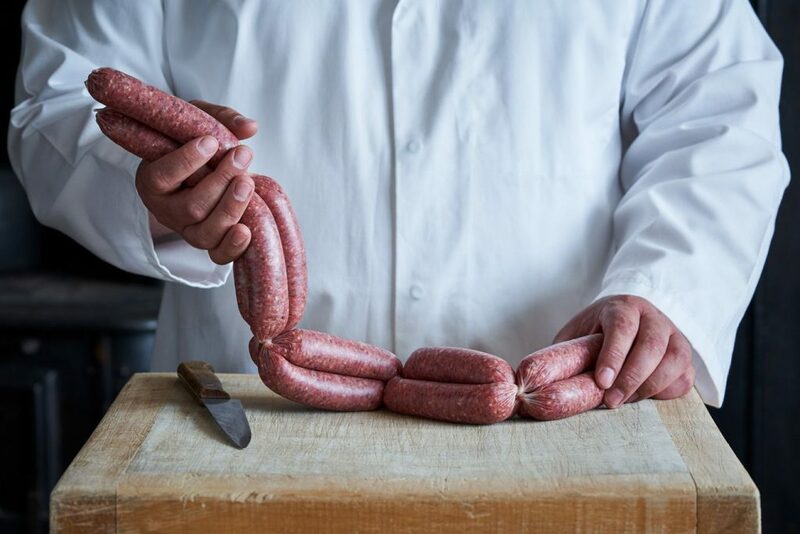 All our beef is expertly prepared to the highest standards by our butchers Brian and Fraser. The only time our cattle leave Rothiemurchus is the 8- mile journey to the abattoir at Grantown on Spey. 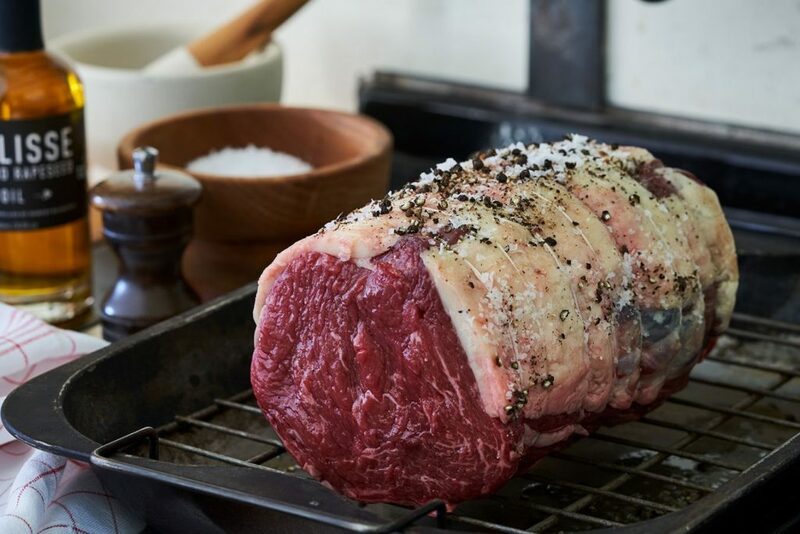 The carcasses then come straight home to be ‘hung’ for between 4 and 6 weeks, this slow maturing means ‘marbling’ is uniquely fine and the beef has a mature and complex flavour. We hope you enjoy it as much as we do. As all our meat is home reared and butchered, it is subject to availability. Therefore if you would like to order from us please call 01479 812345 and give us at least 2 working days notice, so that we can organise something especially for you if we don’t have it in stock. 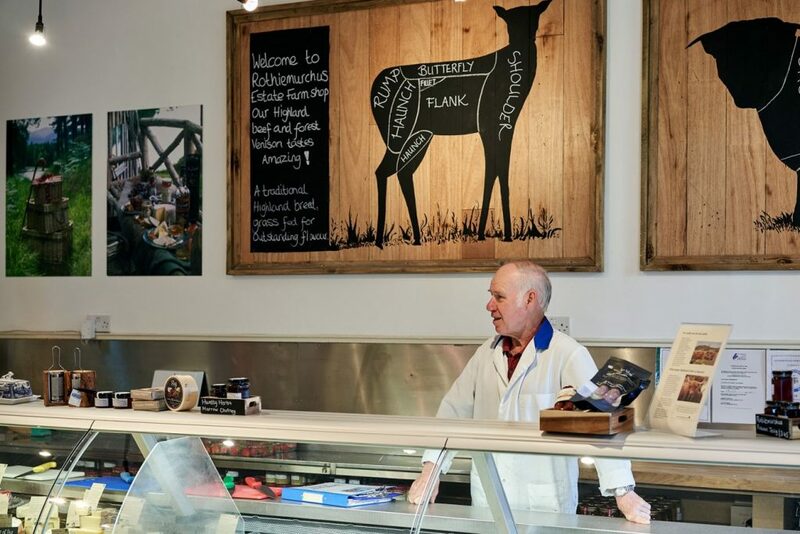 Over the last 20 years Rothiemurchus has gained a reputation as having some of the finest wild venison and was chosen by Rick Stein and the BBC when they celebrated Food Heroes. 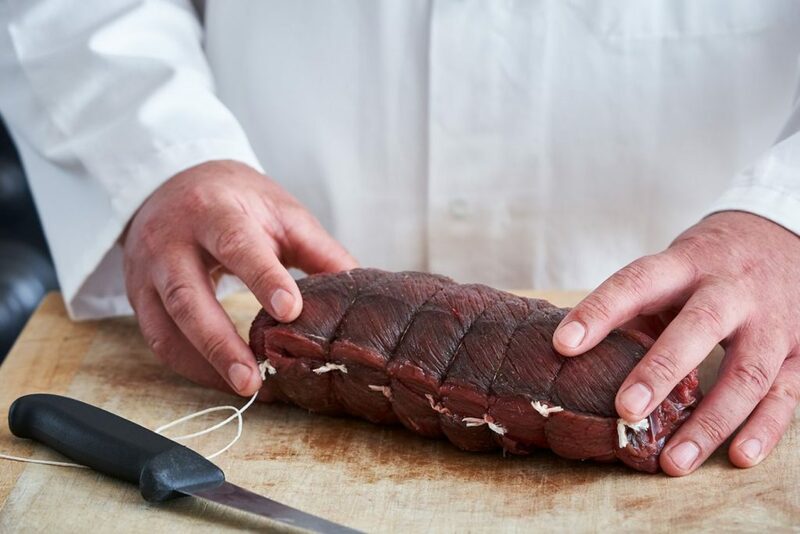 We are incredibly passionate about delicious food and we are fortunate enough to have the choice of the most succulent, tender, fresh wild venison. Peter, our Head Stalker, ensures that our deer live a peaceful, healthy life grazing the sweet grasses of our forests and hills, unaware that there is human activity close by. Since wild wolves became extinct in Scotland, deer have no natural predators, so to make sure they are healthy, do not starve or destroy the fragile natural environment in which they live, their numbers have to be controlled by humans. Each red deer is carefully selected and every beast is handled with great care and respect. We hang our venison for only a few days, before our butchers Brian and Fraser expertly prepare it, so is not too dry and ‘gamey’. In fact it’s so tender and moist you can treat it like our finest Highland beef. As all our meat is home reared and butchered, it is subject to availability. Therefore if you would like to order from us please call 01479 812345 and give us at least 2 working day’s notice, so that we can organise something especially for you if we don’t have it in stock. 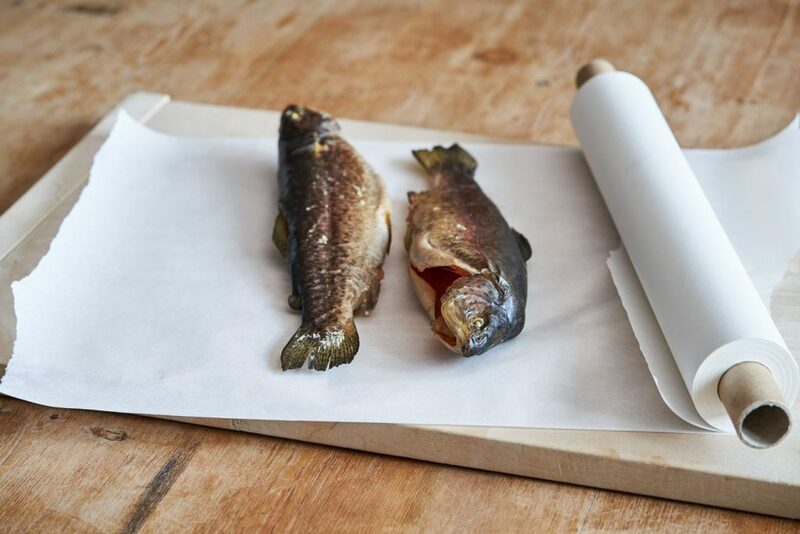 Straight from the sparkling water, which runs from the Cairngorm Mountains to the Fishery, what could be fresher? The Rainbow Trout in our Fish Farm swim in plentiful supplies of the cleanest water, so they are firm, well muscled and have the same forked tails of wild trout. 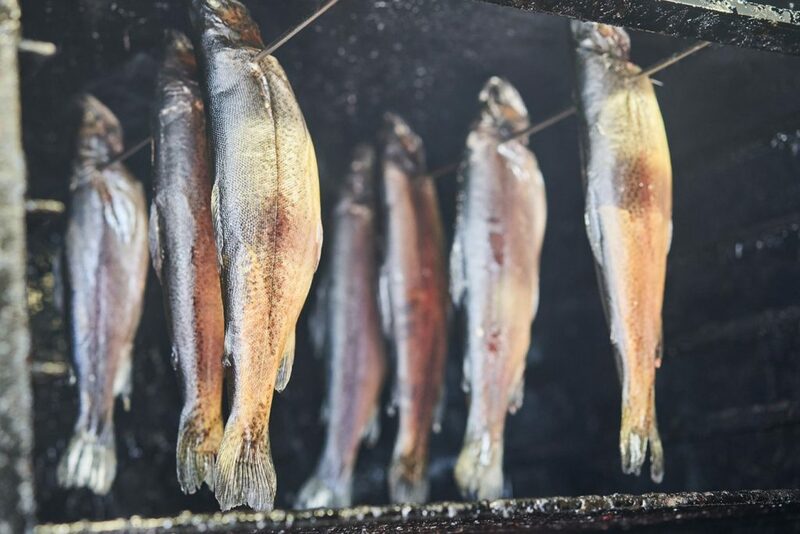 Either whole, filleted or smoked over the chipping’s from old whisky barrels, Rothiemurchus Trout are delicious, as well as being highly nutritious and rich in omega-3. We just love delicious traditional artisan farmhouse cheeses. 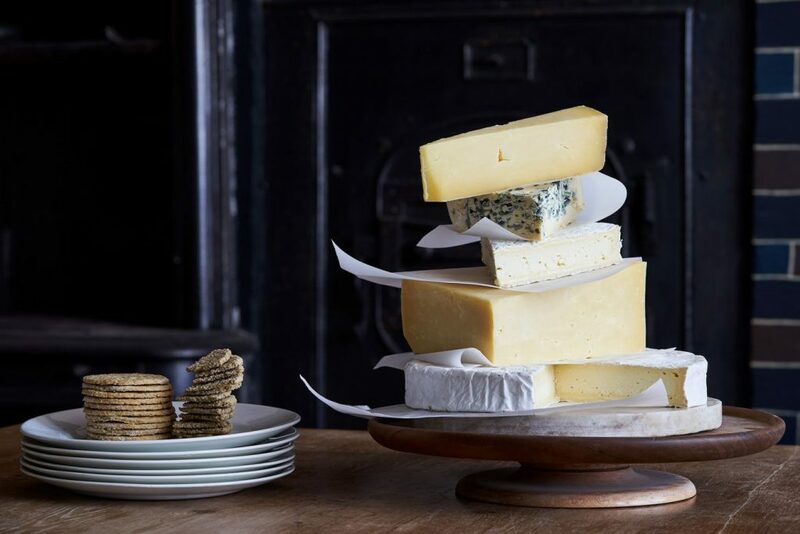 Therefore as well as our all year round Scottish favourites, we stock a whole range of European cheeses from English, French and Dutch to Swiss and Italian. Our selection changes weekly as cheeses are very seasonal and we want to provide you with the best quality and selection for the time of year. 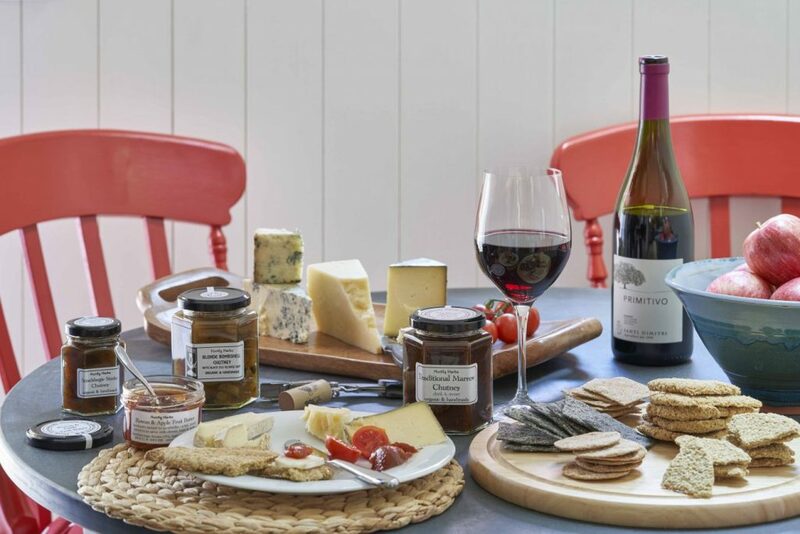 We also stock a wide choice of oatcakes and crackers to suit every delectable cheese that we sell, including jams and preserves; providing the perfect complement to your cheeseboard. We offer you some absolutely superb home cooking using the finest ingredients straight from the Estate. Sold on and off the comb our wonderful heather honey has a distinctive aroma and full, rich taste of the Highland hills. 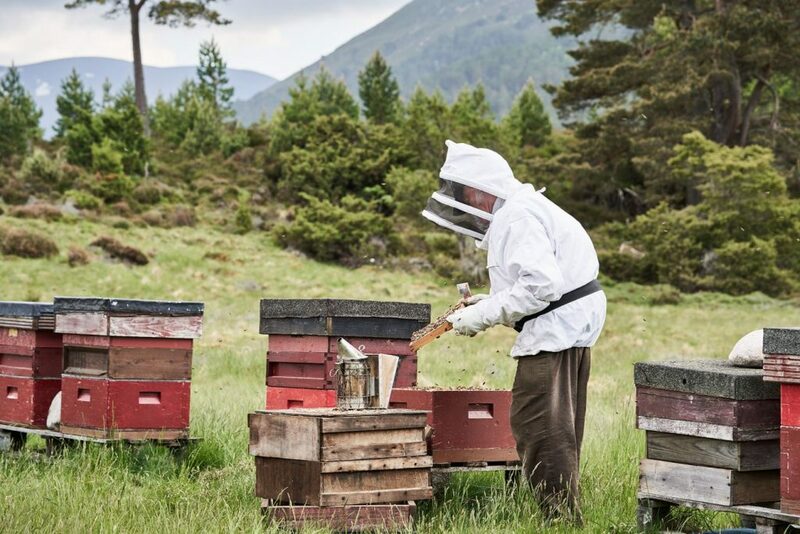 Expert bee keepers Charlie Morgan and award winning Bryce and Elizabeth Reynard move their hives of bees to the moors of Rothiemurchus in the Spring to try and catch any blossom that the bees can turn into blossom honey, but it is the honey made from the heather nectar that is really special. Bell Heather (Erica Cinerea) flowers in July, a month before Ling Heather (Calluna Vulgaris), the traditional bonny purple heather that covers the hills in August. Although there is only a tiny amount of Bell honey it helps give heather honey the distinctive darker colour that is high in healthy anti-oxidants.